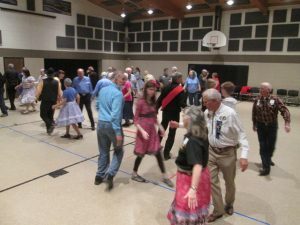 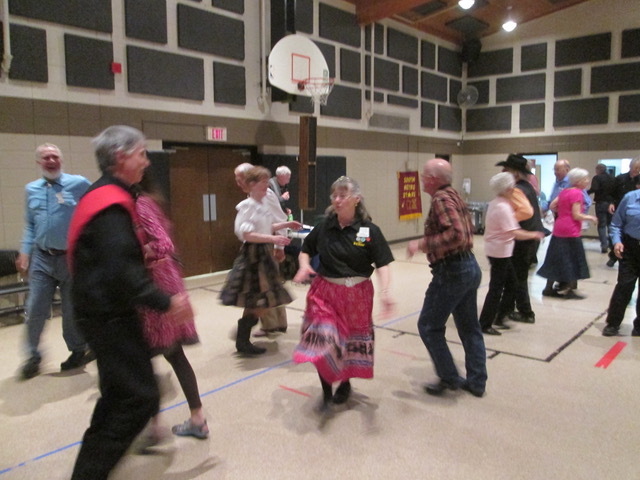 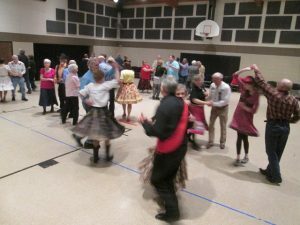 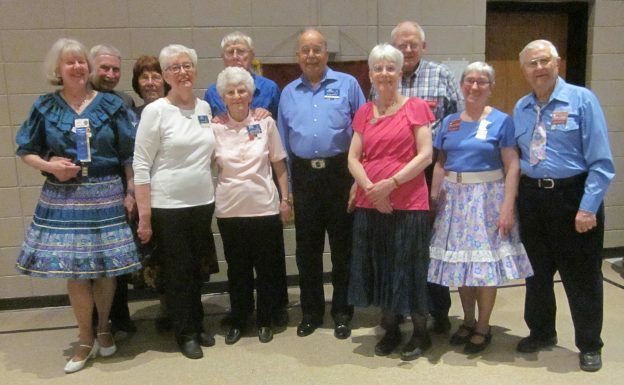 April 28, 2018 – South Metro Stars Square Dance, Burnsville, Caller Lanny Weaklend. Six squares with dancers from Country Twirlers, County Line Squares, Crystal Cross Trailers, Dakota Grand Squares, Hot Foot Stompers, South Metro Stars, Spares & Pairs, Square & Twirl, TMF Squares, Wandering Wheels, and Westonka Whirlers (see photo above) were present. 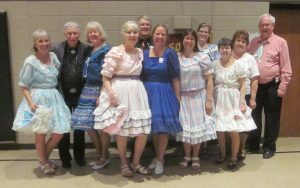 Also present were County Line Squares Queen Gael and King Doug, Hot Foot Stompers Queen Coni, Federation President Michelle Jensen, SDM Chair LeRoy Elfmann, SDM Secretary Gael Zachman, SDM Marketing Director Dee Scott, and SDM Membership Director Mary Kay Amberg. Hot Foot Stompers with Caller Lanny Weaklend.